KYSS-FM - Montanavision Media Inc.
Contract Service Client since 2002. Antenna Coordinates= N, W (NAD27). Overall Height Above Ground Level= feet. Effective Radiated Power= kW Horizontal + kW Vertical. 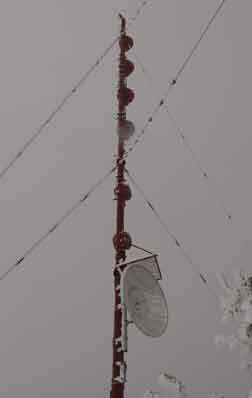 The Big Sky Mountain Electronic Site, at the top of Snow Bowl Ski Area, is home to three FM stations: KUFM, KYSS, and KGGL. 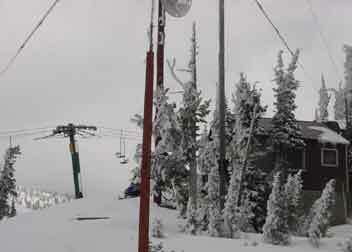 Since 1975, KYSS has provided the Ski Patrol with a warming hut, while the transmitters occupy the lower level of the building. 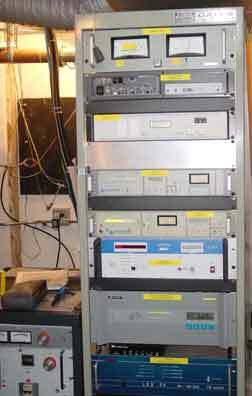 The equipment rack holds a Bird Wattcher, TRL transmitter, Burk remote control, KLTC STL relay, KYSS STL receiver, main FM exciter, and backup FM exciter. At lower left is the BEXT intermediate amplifier for KYSS. This is the BEXT final amplifier for KYSS, producing 20 kW. 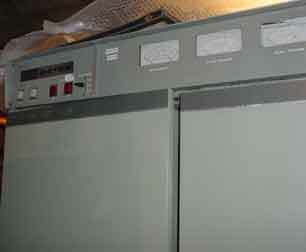 This aging Harris FM-10H3 is the backup transmitter for KYSS. 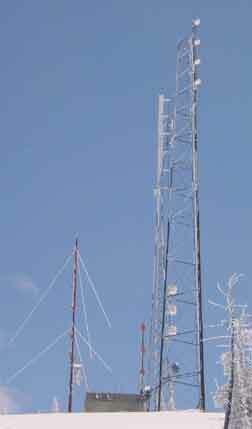 The six bay antenna at the top of the tower is the KYSS main FM antenna. The dish on the left relays KLTC programming to the Tarkio site. The three bay antenna at the bottom of the frame is one of two KYSS FM backup antennas. This view shows the KYSS STL receive dish on the far left, and the two-bay FM backup antenna for KYSS on the far right. 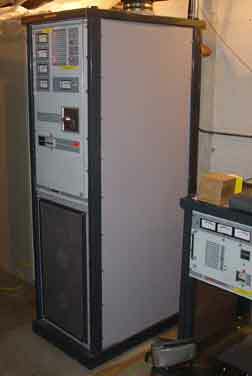 When the site was first developed, this monopole held antennas for KYSS and KUFM. Today, only KUFM transmits from this pole.